Pam’s Pictorama Photo Post: Jumping off on our parade theme from earlier this week, Cats on Parade, I offer these two photos I purchased last year on eBay under the theory, where there are cats, mice will surely follow. There is no indication of date, but there is a Philadelphia studio stamp on the back, For Duplicates of this Photograph order by number which appears on face of this print or on Back, Hood-Weintraub, 501 Keith Theatre Bldg. Phila, PA. [sic] Also scrawled in pencil on the back of the top one, “We posed for this before the parade began. Can you find me. don’t we look Cute. see how wet the streets are. it had rained in the early morning” [sic – all and below.] Same studio stamp on the back of the other and this in the same hand, “you surely ought to find me in this. looks how I am stepping out. this was taken on Broad St just below Aunt Edith” Does make you wonder who “me” is – I have spent some time looking at these and contemplating which one me might be. 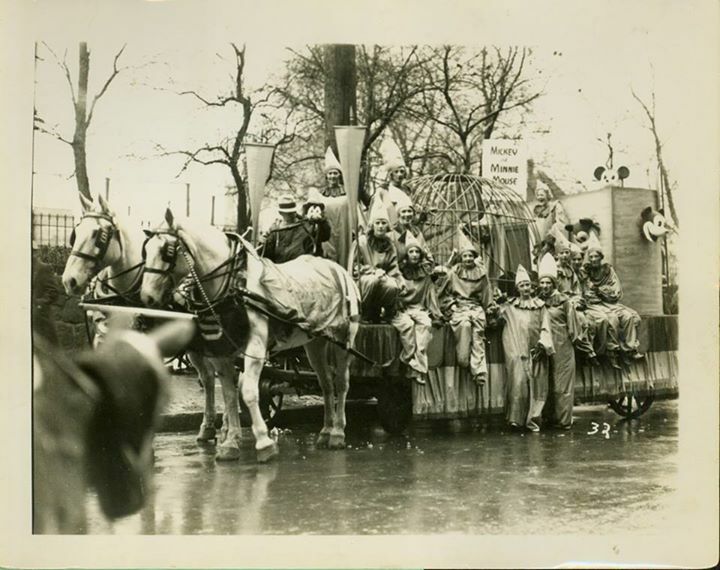 However, when you see this clip from the 1926 Mummer’s Parade, you’ll see where I got the clue that this is where these photos are from! 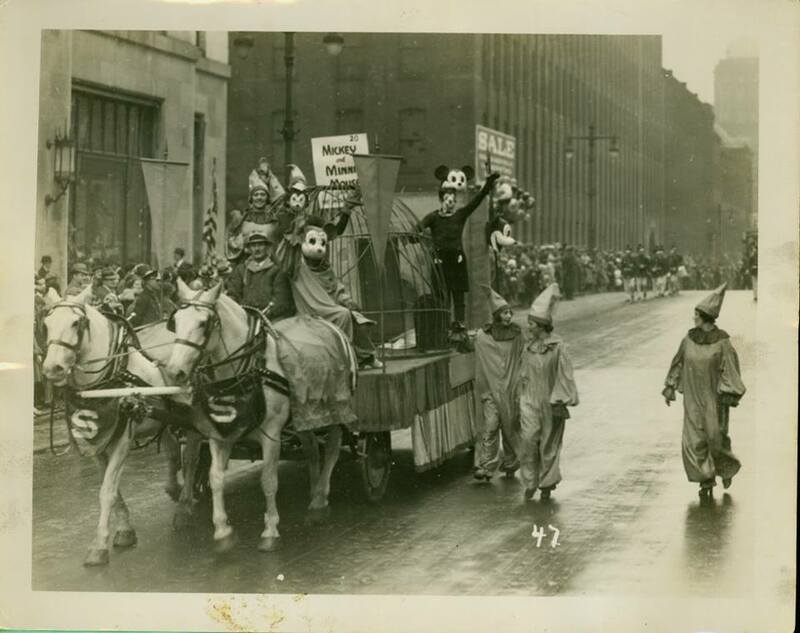 While my heart will always belong to Felix and those donning Felix costumes, (see Felix on Parade and Felix Mask-o-Rama) who wouldn’t love these folks dressing up in Mickey clothes? Braving foul weather and sallying cheerfully forward nonetheless. We should all take a page from their book.